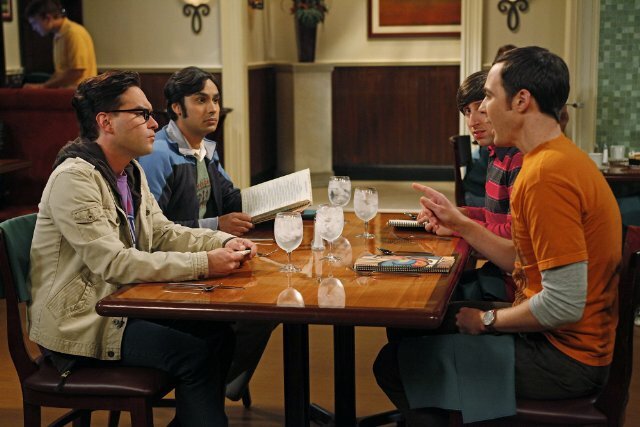 This is a guest post written by a fellow physicist, Marco Piani, who loves quantum information and the TV show The Big Bang Theory In a recent episode of the The Big Bang Theory, "The Wiggly Finger Catalyst", Sheldon reverts to taking "minor" decisions by rolling dice. It does not always work perfectly, as Sheldon, for example, ends up eating food he doesn't really want just because the dice have "decided" so. Nonetheless, Sheldon argues that his mind, not burdened anymore by the consideration of minor issues, can focus better on questions much worthier of Sheldon's attention. He judges his experiment a success, in particular because he is able to publish two papers in "notable peer-reviewed journals" in a short period. The measure of success adopted by Sheldon is actually shared to a good extent by the entire academic system: indeed, one of the main goals of a researcher is that of publishing papers in "good" journals. What does this mean? A researcher devotes his/her work, for example, to better understand how the world works, to improve the treatment for some disease, or to create some new technology. These results only come with dedication and hard work. When there is enough progress---for example, when a group of astrophysicists have collected enough data about the explosion of a giant star, achieving a better understanding of the life cycle of stars---this progress is reported to the scientific community by means of an article published in a scientific journal---a highly specialized research magazine. Such an article may condense down to few pages years of work. Roughly speaking, papers constitute the record of the progresses made in science (in all the senses mentioned above, and in many more!) and add to the body of human knowledge. Most importantly, they are used as references---that is, roughly speaking, as the starting point---for the future work of other scientists, as well as for developing applications of scientific knowledge. It is then quite obvious that published results must be sound: that is, mathematically correct in the case of theory, and supported by the collected data---as well as by the methodology of the data analysis---in the case of experiments. A key issue is that science is divided in so many fields and subfields that only people working on the same or a similar topic can really check that the progresses being reported are, first of all, actually interesting progresses---worth being "archived" and developed in the future---and, most importantly, correct. Hence the notion of "peer-reviewed journals": in order to publish, a researcher has to convince his/her own colleagues that what he/she has done is worth the attention of the scientific community and is correct. Furthermore, the level of "interest" of the results is nowadays often reflected by the journal in which the results are published: "good" journals have a higher bar for what is deemed "interesting". There are a lot of details and many subtle points that we are leaving out here. For example, the people who have to review a manuscript submitted for publications and to help decide about its acceptance---the "referees"---are often unknown, both to the authors of the manuscripts and to the rest of the community. The idea is that referees can then be less afraid to point out potential issues affecting the submitted paper, while they could restrain themselves from doing it if the persons whose work they are judging today could knowingly end up judging their work in the future. The principle that whatever new result should be scrutinized by the community of peers is well established; in many ways it is a cornerstone of modern science. On the other hand, the exact process to arrive at the acceptance of new results and to their incorporation into the body of scientific knowledge---as well as the issue of how these results should be made available and disseminated---may change in the near future. At the moment this process is mainly administered by scientific journals and their editors. It is the editors who receive the request from the authors to publish their manuscript. It is the editors who get in touch with potential referees, asking them to judge the submitted manuscript. It is the editors who, after reading the reviews of the referees, finally choose whether to accept the manuscript for publication. Most importantly, it is often the case that papers appearing in journals---that is, the only papers nowadays "officially" certified as "interesting and correct"---can only be accessed through the payment of a fee. But exactly in these days many scientists and thinkers (notably Timothy Gowers, a Field medalist 1, and Michael Nielsen, the author of Reinventing discovery, an interesting book about how the Internet will dramatically change the way we do science) are considering how the traditional peer-review process and the scientific publishing industry could be disrupted by new online tools and by the more direct involvement of the community of scientists through these tools. Sheldon may be happy about letting dice decide about other issues to focus entirely on finding new results, but researchers all around the world are aware that modern science is a very complex and collective enterprise. In particular, new results require both validation and dissemination; while "peer-review journals" have played and still play a primary role in these two processes, things could soon change.